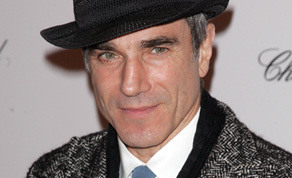 Irish-based actor Daniel Day-Lewis is to be honoured by BAFTA LA with the Stanley Kubrick Britannia Award. Day-Lewis, who will next be seen in ‘Lincoln’, will collect the prize at a ceremony in Los Angeles on Nov 7. The actor, who lives in Co Wicklow, joins previously announced honourees Daniel Craig, Quentin Tarantino, South Park creators Trey Parker and Matt Stone and video game designer Will Wright. Previous recipients of the Britannia Award include George Lucas, Warren Beatty, Tom Cruise, Robert De Niro, Clint Eastwood and the late Stanley Kubrick.